Dennis the Menace card by Pink & Greene. 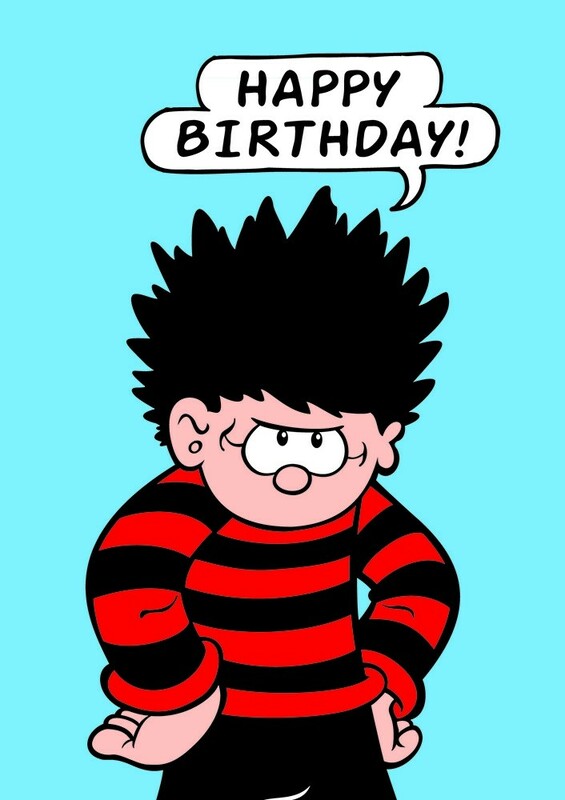 Dennis the Menace first appeared as a comic strip in The Beano in 1951, featuring a boy named Dennis and his Abyssinian wire-haired tripe hound Gnasher. Dennis is the original badly-behaved schoolboy who spends most of his time terrorising his arch-enemy Walter, and his gang of 'softies'. 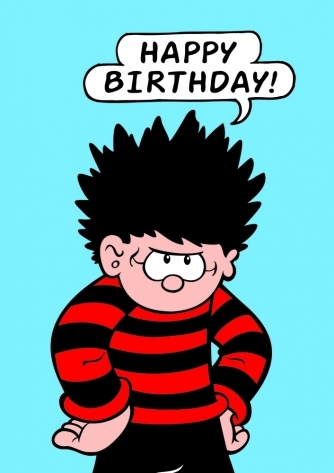 Dennis the Menace and Gnasher was first drawn by David Law (1951–1970), then David Sutherland (1970–1998). As well as appearing in print, Dennis has had a long and successful TV career.